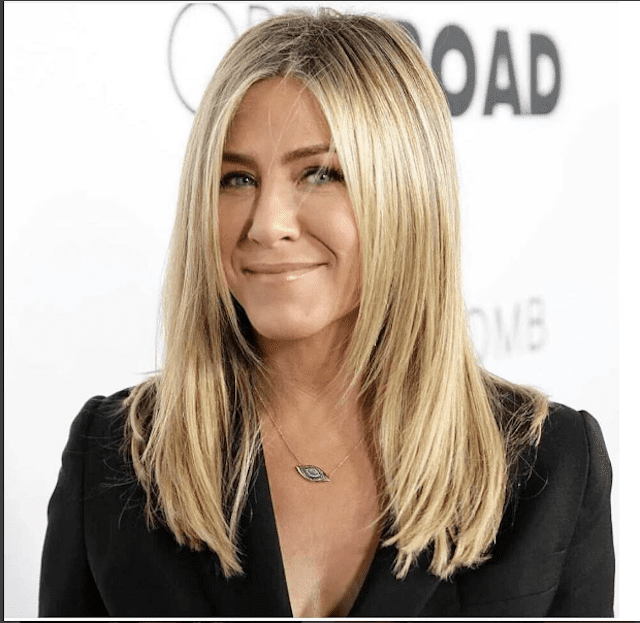 In this photo gallery of Jennifer Aniston hairstyles, you'll see how her hair has evolved over the years from her long, overgrown brown locks, to the Rachel to her signature "bronde" straight hair. Here she's pictured in 2016 with bronde hair color, courtesy of her hairstylist Chris McMillan. Here we see Jennifer Aniston's hair in it's natural state: long, unruly and brown. It's a great base for her hairstyles to come. 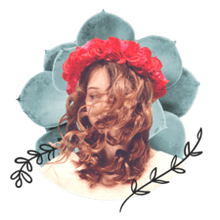 Thick, naturally straight hair is the easiest to style. She later dubbed this hairstyle "the ugliest haircut I've ever seen," but when it made its debut on the set of "Friends," the world went ga-ga for Jennifer Aniston's "The Rachel." It remained the most popular hairstyle for at least a couple years. Here's Jennifer Aniston in curly hair at the "Meet Joe Black" premiere, which featured her then-boyfriend Brad Pitt. The two had been set up on a blind date in the Spring of 1998. In March 2000, Jennifer grew her hair super long, sporting an almost bohemian look just before her July 30 wedding to actor Brad Pitt. Here's Jennifer Aniston sporting a very demure lool just 2 months after her $1M lavish wedding to Brad Pitt in which she vowed to make Brad's favorite banana split and Brad promised to find a balance on the thermostat. This is the first time we've seen Jennifer Aniston with short hair. She cropped her hair to a flattering length in between her chin and her shoulders in December 2000 and wore it short for just a few months. One of the sexiest photos of Jennifer Aniston, this one shows off the haircut she would wear for much of the next decade: flat-ironed, long with a very few face-framing layers and the perfect color that's not entirely all blonde, yet not totally brunette either, a color we'd dub in 2009 as "Bronde". Jennifer Aniston wore her long hair curly to the 2002 Emmy Awards, during which she won Best Actress in a Comedy. She has rarely worn her hair this curled. When she does wear her hair wavy, it's much more "beachy" than curly. She's rarely seen in bangs and this shot of her in January 2003 shows her with thick, side-swept ones. Just a few months before their announced separation in early January, 2005, Jen and Brad look happy here. Well, she does. Her hair is tousled and loose. With her divorce from Brad Pitt finalized on October 2, Jennifer Aniston stepped out on October 30 looking ravishing. But of the many pictures of her taken on this day, this was only 1 of a few that showed her smiling. Still, she looks beautiful. Jennifer Aniston ditched her golden color for a darker shade of brown in June 2006. In this shot, you can clearly see how layered her hair is just around the face. This is one of my favorite haircuts on Jennifer Aniston. Her hair is thick and perfectly cut and the color couldn't be better. Here, Jennifer Aniston wears a braid to an awards show. Kind of a boho, beach chic look. Back to the pin-straight hair and the bronde color. Another classic Jennifer Aniston look. I love these beachy waves in this picture taken just a few weeks (or perhaps even days) before she cut her hair to her shoulders. In early 2011 Jennifer Aniston stepped out with a long bob (or "lob") hairstyle and wowed the world. A super flattering length, Aniston's long bob is slightly shorter in the back and tapers to the front. This isn't the first time she cut her long hair off, the last time she debuted a short 'do was in late 2000, just after her summer nuptials to Brad Pitt. Back to the shorter haircut. This was the cut seen around the world. Aniston has stuck to her long hair for a few years now. Loving this look.